Purchase a VIP card for $0.99 and receive a point for every $1 dollar you spend! 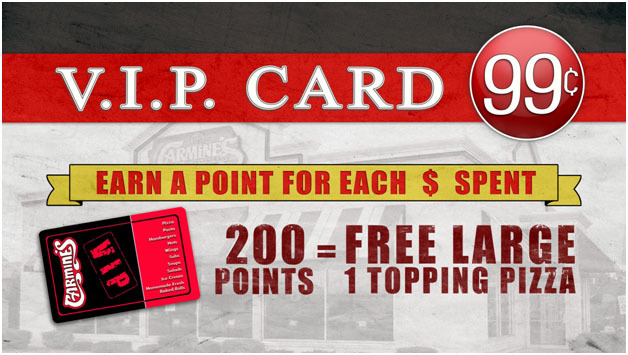 When You reach 200 points receive a FREE Large Pizza with 1 of your favorite toppings! !